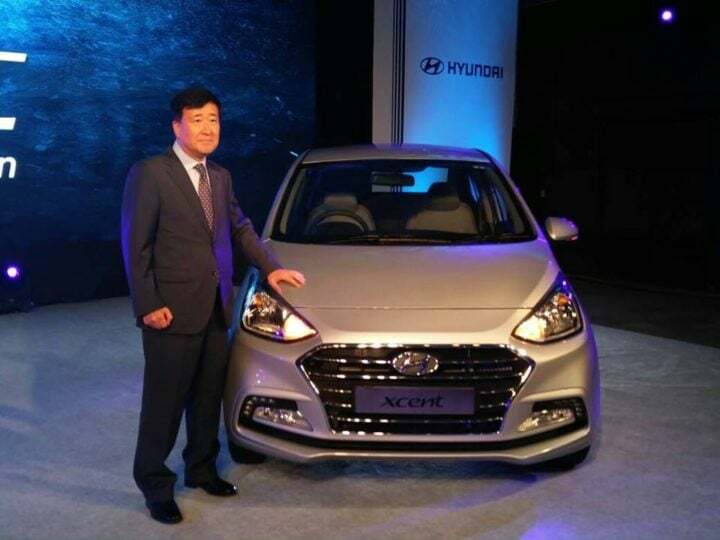 Hyundai launched the Grand i10 facelift in India in February 2016. 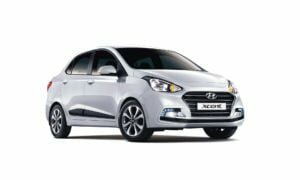 It is based on the 2017 Hyundai i10 facelift that was revealed last year. 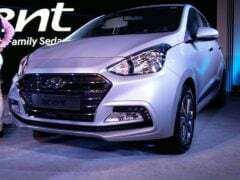 The Grand i10’s sedan derivative has now also received a similar treatment. Both the front- and rear-end of the Xcent have undergone major changes for the recent faceliift. 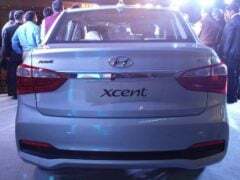 The 2017 Hyundai Xcent facelift prices start at Rs 5.38 lakh. Read on for more on the new 2017 Hyundai Xcent facelift. The base petrol model of the new Xcent costs Rs. 5.38 lakh, which is marginally lesser than before. The top-end Diesel model is priced at Rs. 8.41 lakh, which is Rs 34,000 more than before. The facelift not only features cosmetic updates but a new diesel engine as well. Instead of the current 1.1 L, the new model Xcent gets a 1.2 L Diesel and so, the specifications also change. This 1.2 L diesel is the same one that powers the new Grand i10. Petrol variants continue with the 1.2 L engine. Both engines get a 5-speed manual transmission as standard. The 1.2 L Petrol is also available with an optional 4-speed automatic transmission. New Hyundai Xcent 2017 facelift is slightly more fuel efficient. Petrol variants return an ARAI mileage of above 20 KMPL while the efficiency of diesel Xcent is more than 25 KMPL. 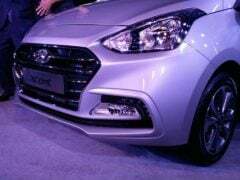 The new look Hyundai Xcent 2017 facelift has gone on sale in following trims- E, E+, S, SX and SX(O). The E trim comes with hub caps. The base model of the pre-facelift Xcent came with full wheel covers. The S trim misses out on the 1 GB flash memory. It also loses Driver seat height adjustment. The SX and SX(O) trims no longer come with electro-chromo Mirror (ECM) and cluster ioniser for the automatic climate control. 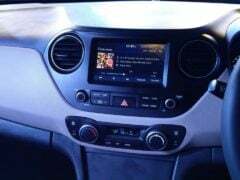 Interestingly, mid-level models of the facelifted Xcent don’t offer the smaller 5.0-inch touchscreen system offered in the Grand i10. Unlike the current model, the front end of the Xcent facelift is not identical to that of the new Grand i10 facelift. It gets a different ‘cascading’ front grille design that comes with a lot of chrome. DRLs have been placed next to the new fog lamps. Hyundai has chosen a pretty interesting approach for the rear. Thanks to the new set of taillamps, the car looks wider and arguably more premium than before. 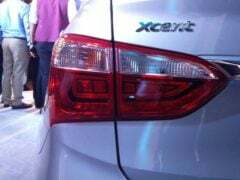 The Xcent facelift features new, split tail lamps. The rear bumper and bootlid detailing are also be new. The interiors of the Xcent has been carried over largely unchanged. As can be seen in the image above, for the most part, the cabin is identical to the outgoing model. The only visible difference here is the addition of a new touchscreen infotainment system. 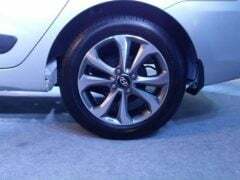 This unit has also made it to the 2017 Hyundai Grand i10. It supports Apple CarPlay and Android Auto. The cabin is as spacious as before and boasts the same class leading levels of quality and fit and finish. The new 2017 Xcent facelift comes with the above colour options! The petrol engine is carried over from the current model. The Petrol engine churns out 81 BHP. There is a new 1.2 L diesel engine on offer that replaces the 1.1 L unit. It is more powerful and produces more torque as well. A five speed manual transmission is standard across the range. Petrol variants continue with the optional 4-speed AT. 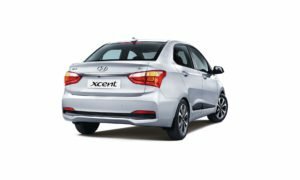 There is a marginal increase in mileage figures with the 2017 Hyundai Xcent facelift.